A CSS blog by web developer Pedro Rogerio. The section element is used to wrap content without using a heading in several places including the everything inside the body, so div would be a better choice here. input type="search" could also be used for the search input without affecting its function in any way. Post a job and reach web professionals everywhere. 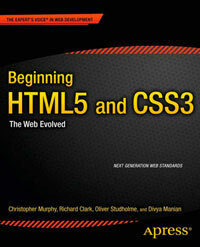 Have a look at our sister site, HTML5 Doctor for news, views and tutorials about HTML5. With articles by Bruce Lawson, Remy Sharp and more. Copyright © 2019 HTML5 Gallery. All rights reserved. Hosted by (mt) Media Temple. Branding by Oliver Ker.